View New Mexico state workers compensation forms and employer guides. At Workers Compensation Shop.com we offer free access to New Mexico's workers' compensation forms, applications and guides. We strive to keep our library as up to date as possible. As with all information we provide, please verify the accuracy of this information with the New Mexico Workers' Compensation Administration. If you have questions about a workers comp form, feel free to contact a specialist at 888-611-7467. 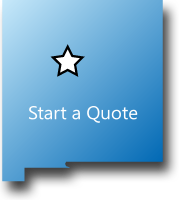 We want to be your source for workers compensation information, rates and quotes in New Mexico. NM Acord 130 Workers' Compensation Application. The standard Acord 130 application form for workers comp coverage in New Mexico. New Mexico First Report of Injury Form. NM First Report of Injury Form. Employers should complete this form and send to their insurance company each time an injury occurs. 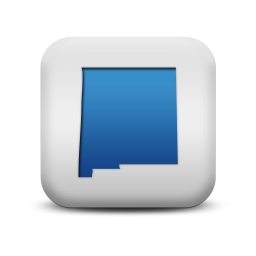 New Mexico Application for Exclusion of Officers and Stockholders. This form allows LLC members to reject workers' compensation coverage for the state of New-Mexico. Complete this form to elect to accept the provision of the New Mexico Workers' Compensation Act and Occupational Disease Disablement Law. Complete this form if you are an executive officer and wish to be exempt from the Workers' Compensation Act. Complete this form if you are a Sole Proprietor and you wish to refuse coverage under the Workers' compensation act. The form includes instruction designed to help complete and file Employer's First Report of Injury or Illness and Notice of Benefit Payment electronic forms. Complete this form if you are a member of an LLC, own at least 10% or more interest in the LLC, and wish to refuse coverage. CA comprehensive guide to Workers' Compensation from the prospective of the employer and the insurance agent. A step by step guide to developing and implementing your own Safety Program. Workers compensation insurance is required by law for New Mexico employers. New Mexico forms and applications such as owners inclusion or exclusion forms are sometimes updated by the state. Contact us if you need help or can't find the workers compensation form your need for New Mexico. WHY SHOP NM WORKERS COMP WITH US? At Workers Compensation Shop.com we offer flexible payment options. We know cash flow is important for many business owners. That is why we've developed Pay as You Go Programs with most of our insurance partners. This lowers your up-front costs and offers you monthly reporting for your premium payment. Give one of our New Mexico workers compensation Specialists a call today at 888-611-7467 for a free, no-obligation quote on workers compensation insurance.